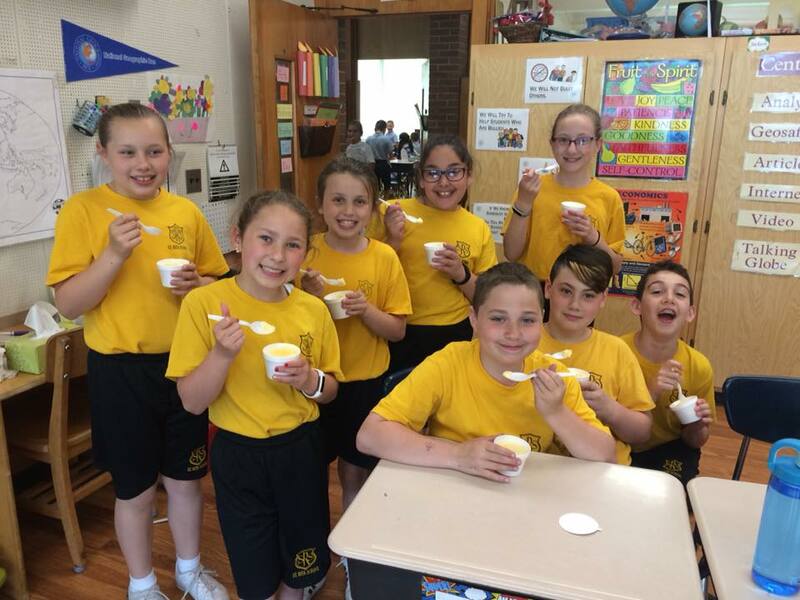 Celebrating our patron saint a with special treat. 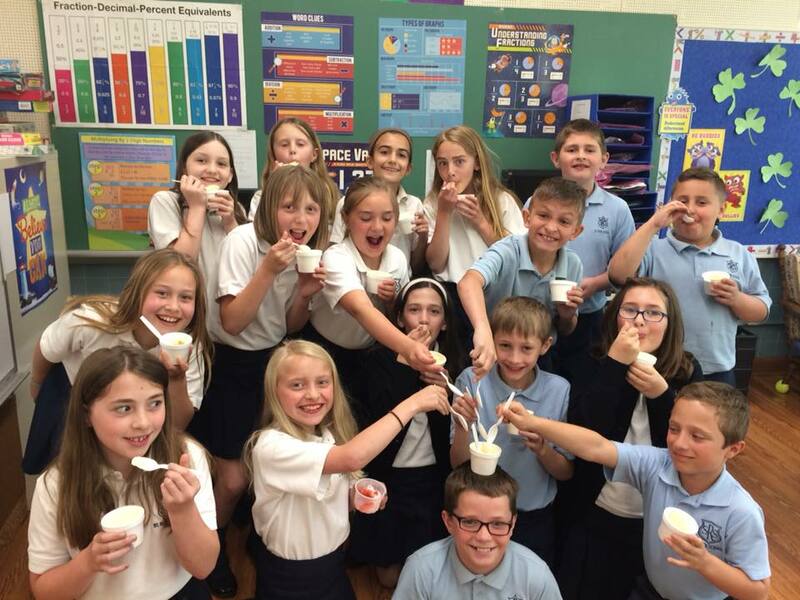 Enjoying ice cream on the feast of St. Rita. The May Day Court and 2nd graders. Cake from parents to conclude Teacher Appreciation Week. 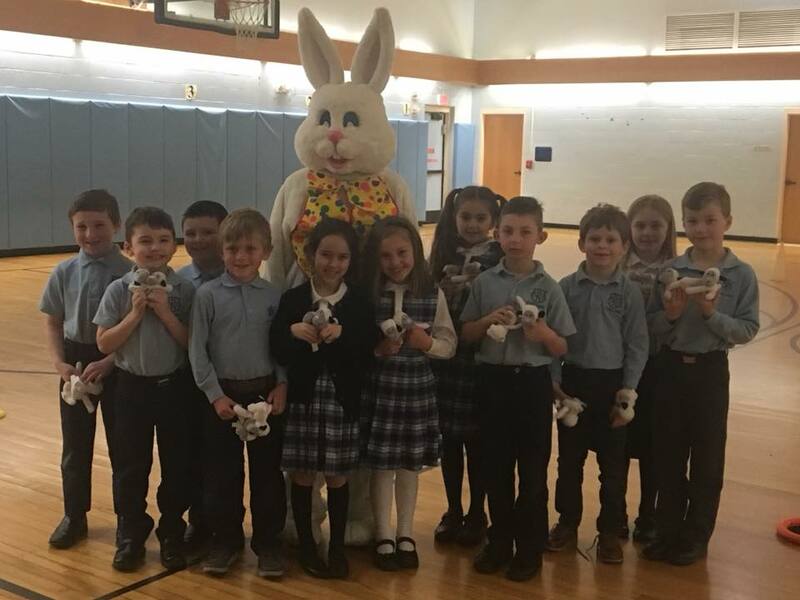 A special visitor showed up to the Annual Easter Egg Hunt. 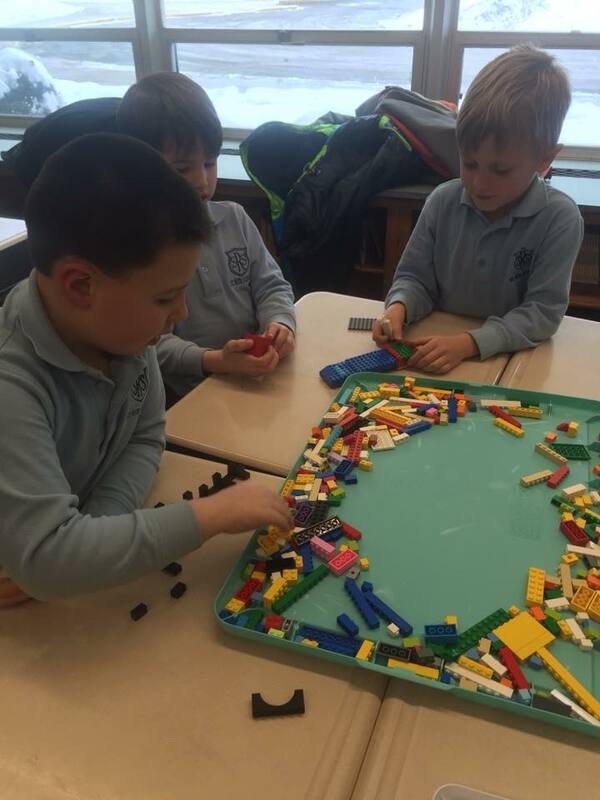 Lego League 1st graders working hard on their project. 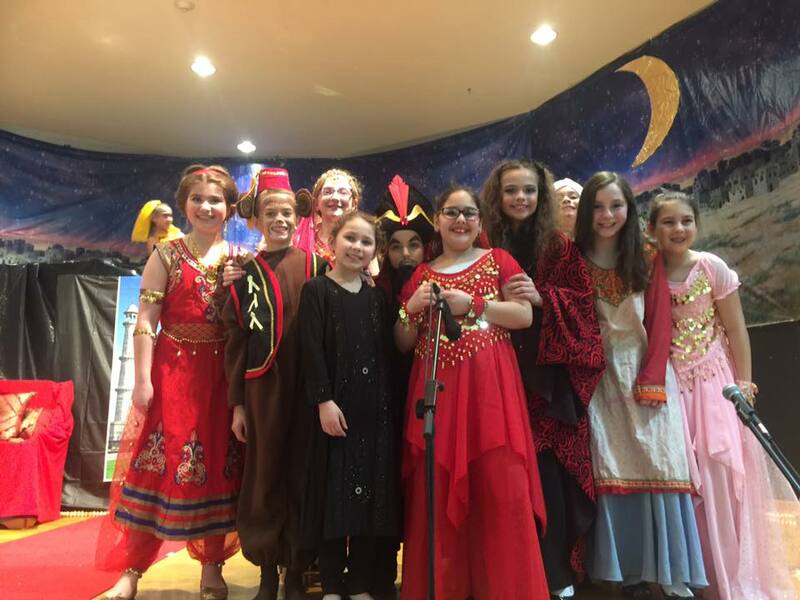 Just some of the cast of Abracadabra Aladdin, the 5th grade play. 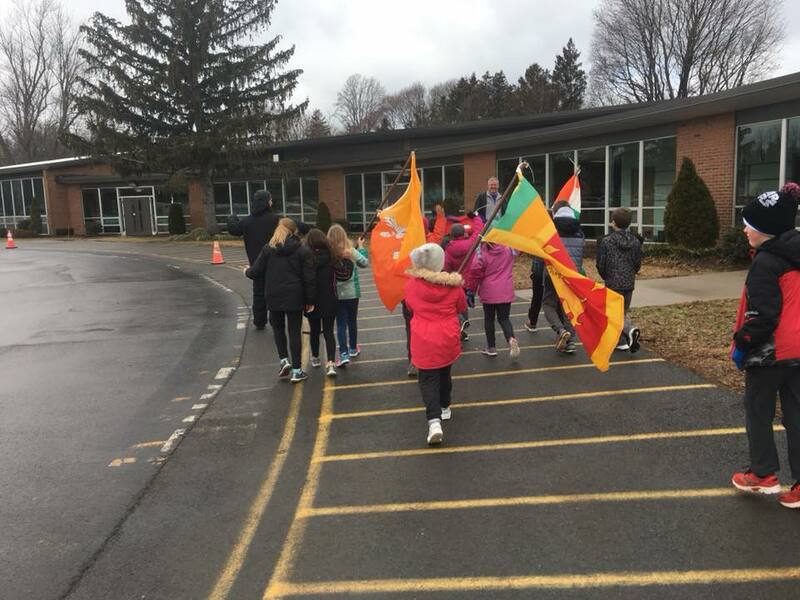 A 'Parade of Nations' was part of Winter Fun Day. 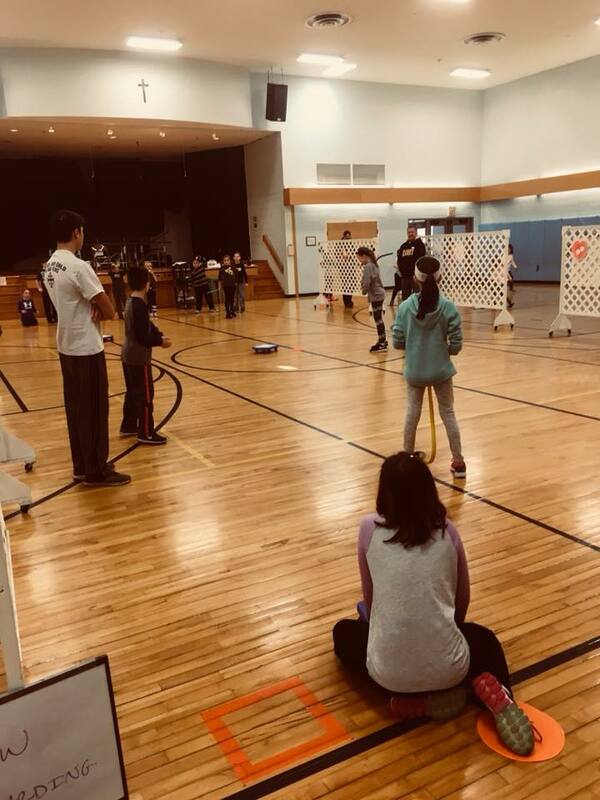 Winter Fun Day was in the gym this year due to lack of snow. The cast of "The Legend of the Christmas King"
The Kindergartners were the angel choir in the play. The announces the birth of Christ to all. The Wise Men came bringing gifts. Dounts with Dad was enjoyed by all. 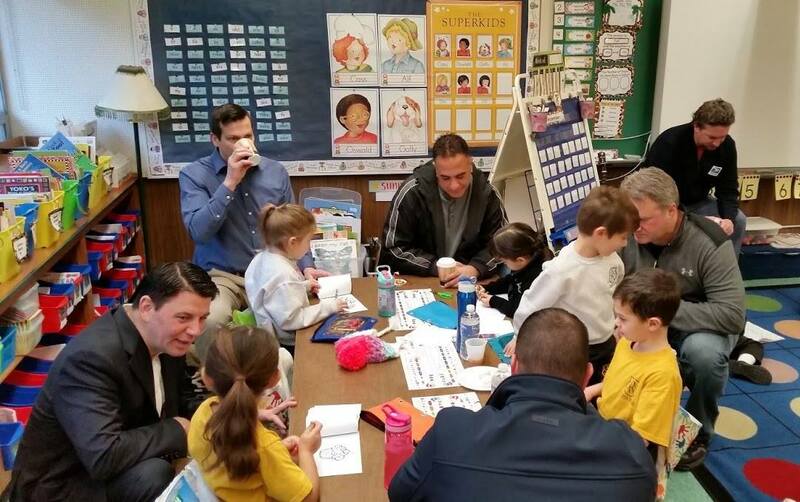 It's always nice when dads come to school. 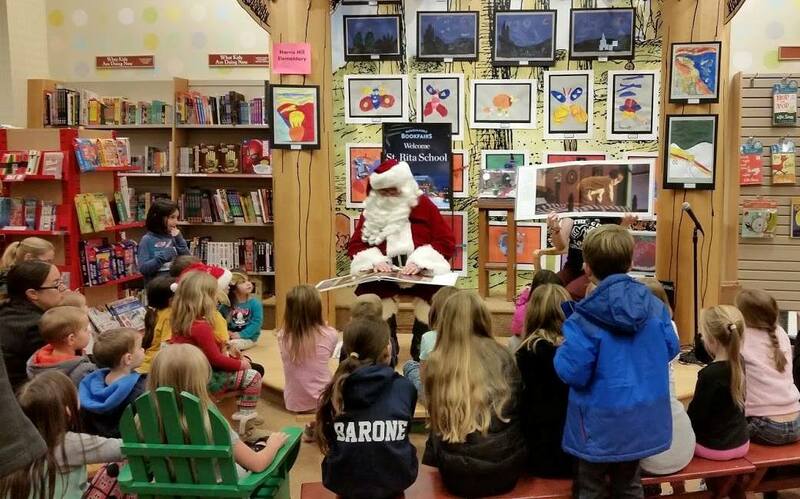 Santa reading The Night Before Christmas during our Barnes & Noble night. The 5th grade Girl Scout troop say carols as part of the evening. 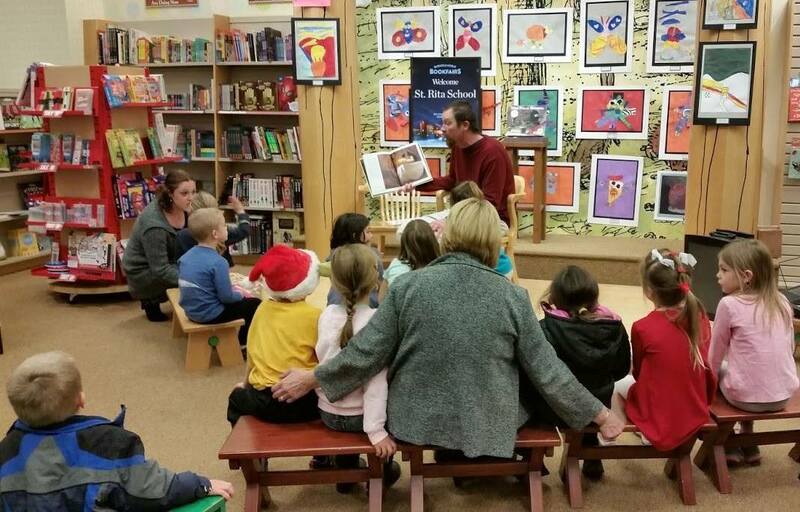 Coach Allan read to special book to us too. All grades were represented at our Thanksgiving Prayer service. 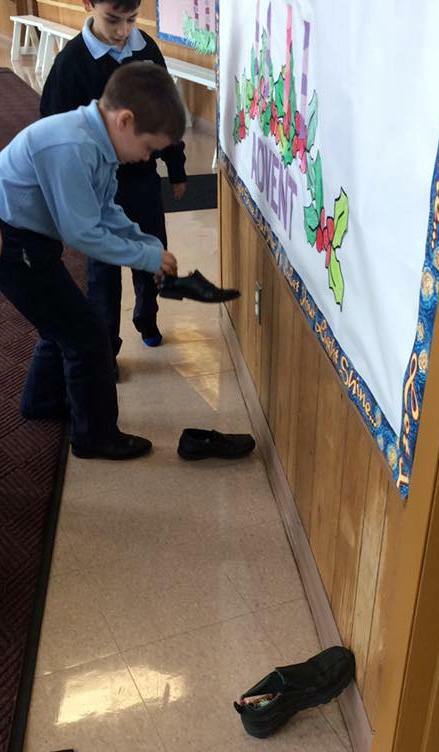 Saint Nick visited the school and filled the Kindergartners' shoes. Lindsay won the D.A.R.E. essay contest. 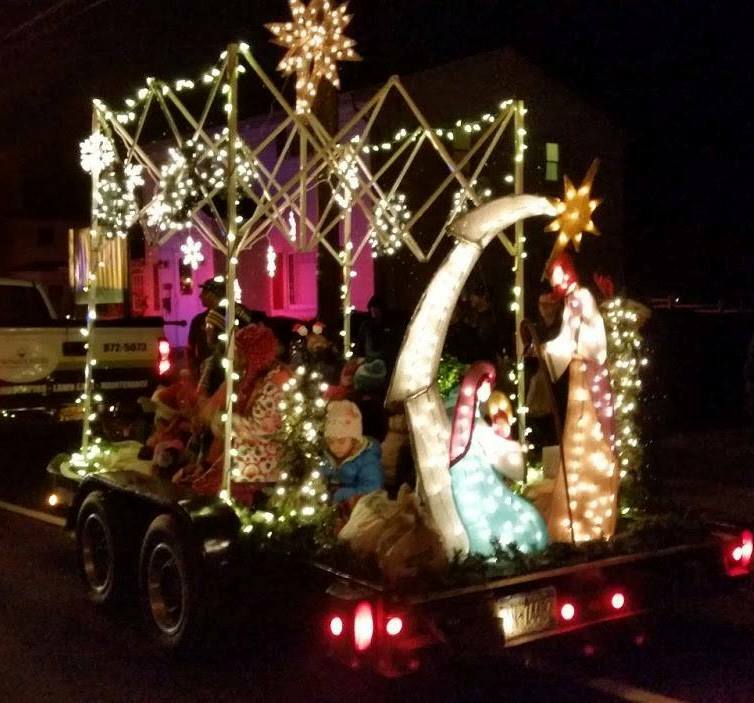 We had a beautiful float as well. 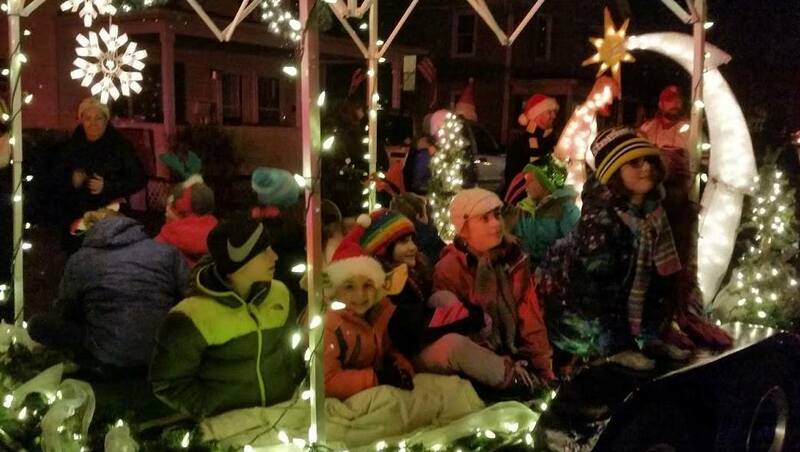 Students had fun riding on the float. Waiting to begin the Veterans Day Service. The 4th graders & their Kindergarten buddies saying the Pledge. Captian Keith Perri shared his experiences with us. The 5th graders recited a touch chorale piece. The service closed with Taps! 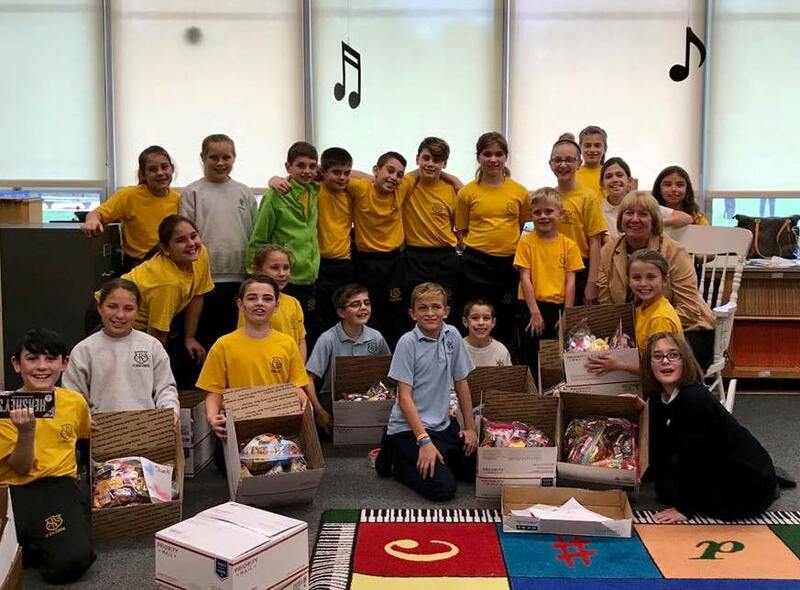 We collected over 100 pounds of candy during our Annual Operations Share the JOY! Just some of the 75+ backpacks donated to CASA from our Fall Service project. Alumni, Brad showing the PreK4 students some of the tools found on a fire truck. The 31st Marathon was a success! Waiting to check students in. They are off for mile #2 with hot chocolate in hand. Everyone meets & visits in the pavilion. Having some Yolicky after walking even though it was cold out. Just some of the faculty & staff who attended. 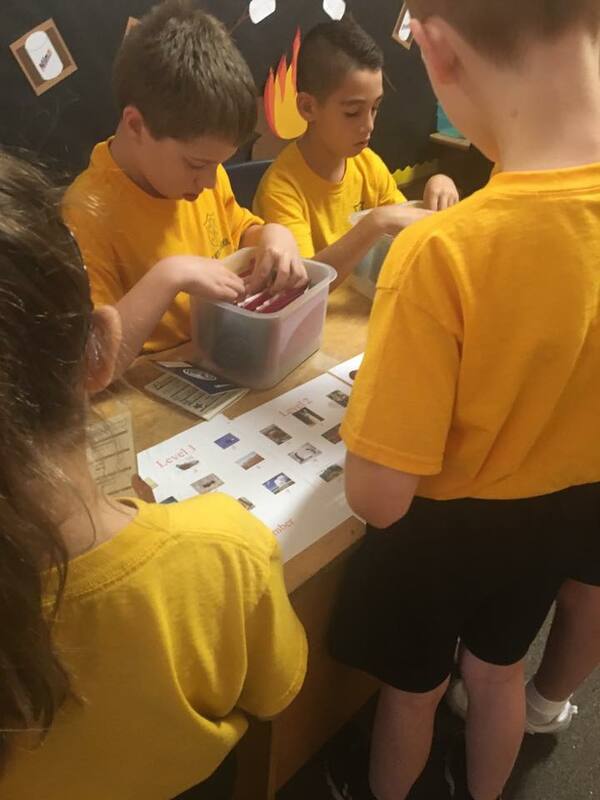 Finding the correct stamp for their "Passport" at the 1st Passport Club event to the year. 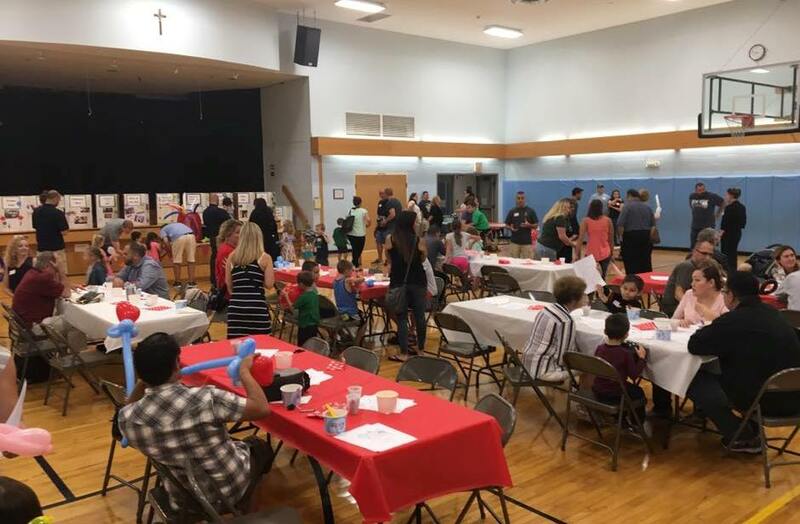 The New Family Ice Cream Social provided a way for everyone to get to know each other. 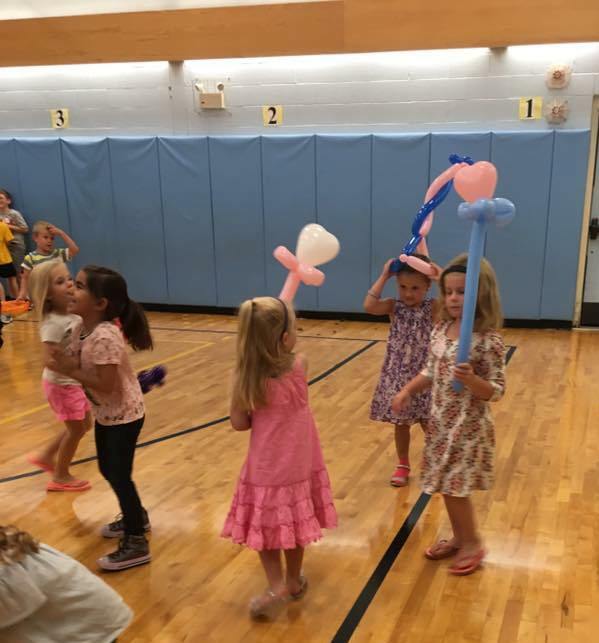 The students had fun with their balloon creations. 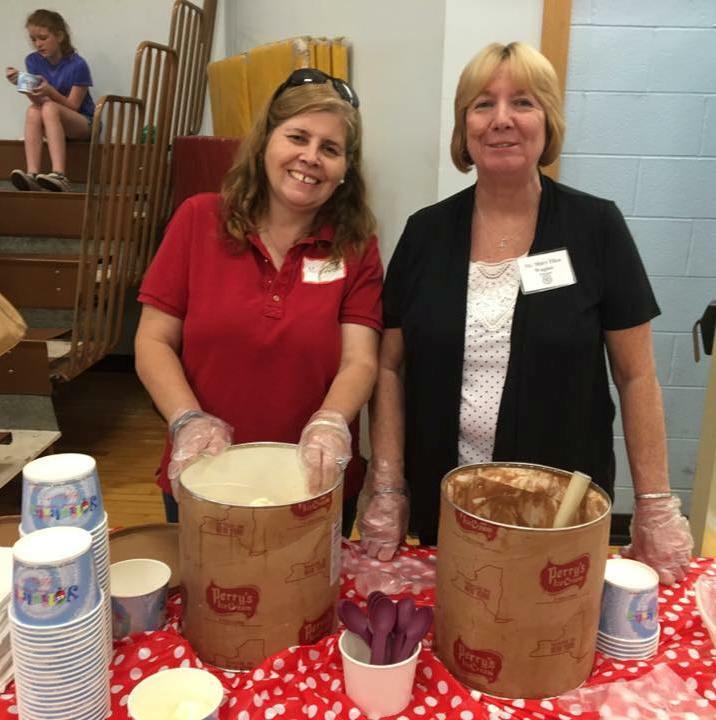 Look who was scooping ice cream. Waiting for Father to process in for the opening school liturgy. Students waiting to do the opening announcements and introductions. Entering church for the beginning of mass. The psalm readers as the chorus signs the refrain . The Prayers of the Faithful included praying for the hurricane victims. Waiting to bring the gifts up. Ready and waiting for students to arrive! Coach M welcomes the 1st bus. They have started to arrive. Father Gonyo came to welcome us all. 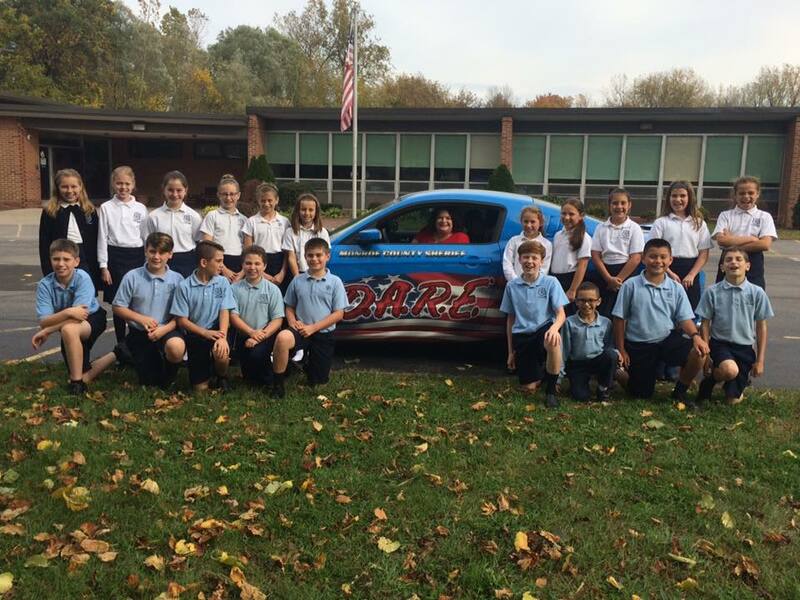 The SRS class of 2023 (a.k.a. 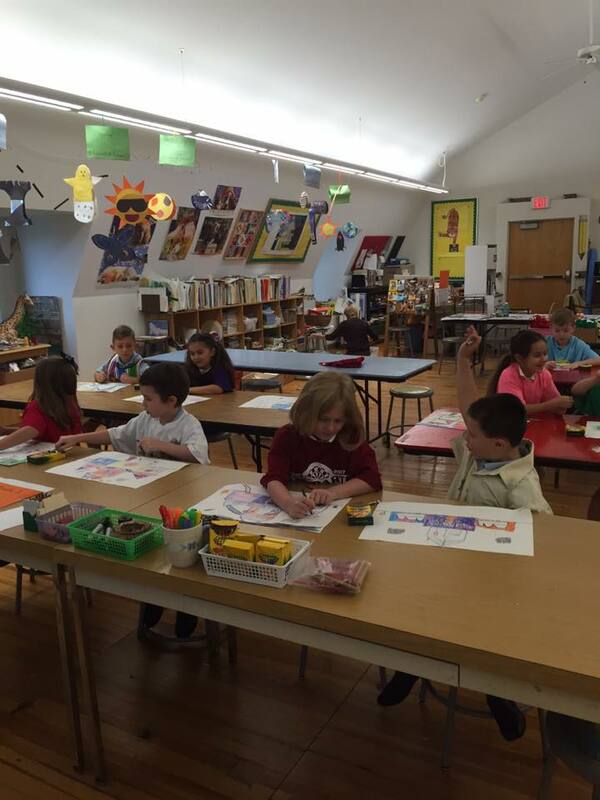 as Kindergartners) on their 1st day! 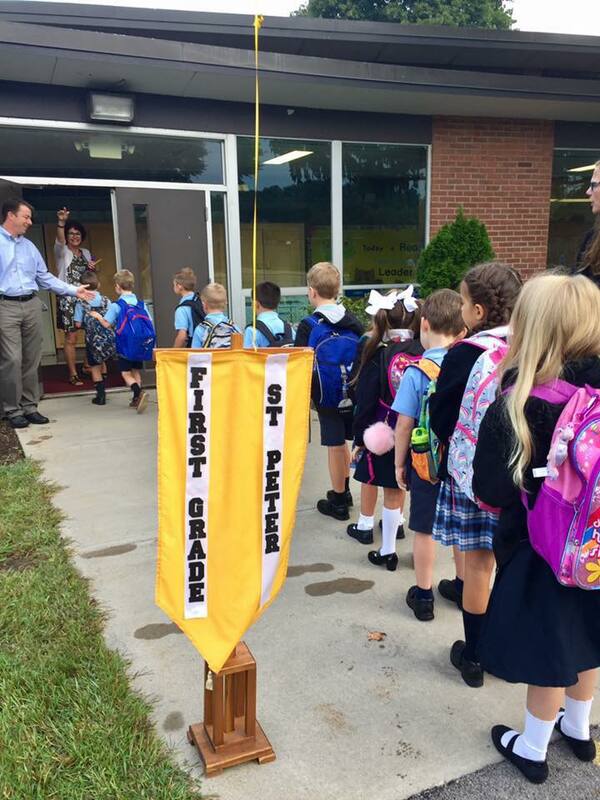 The 1st graders headed for the classroom. 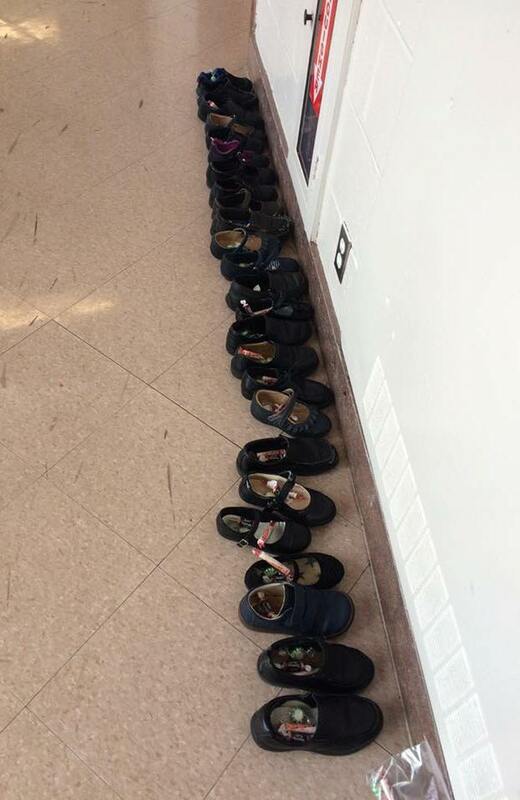 The 2nd graders were happy to pose for a picture. 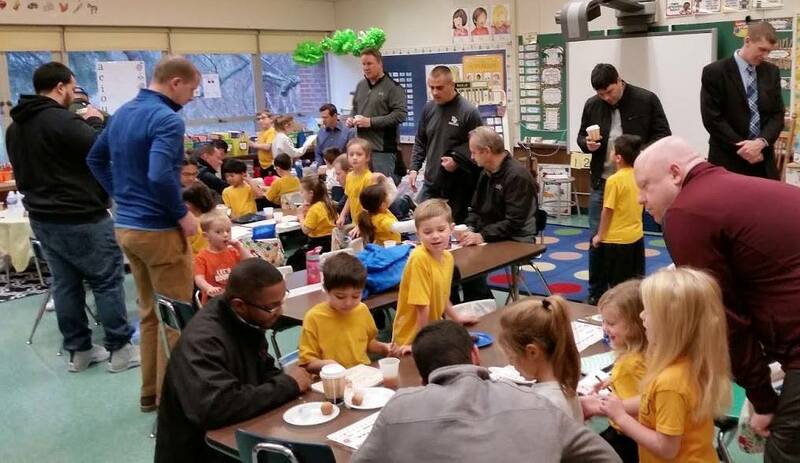 The 3rd grade boys watching all the mornings' activities. 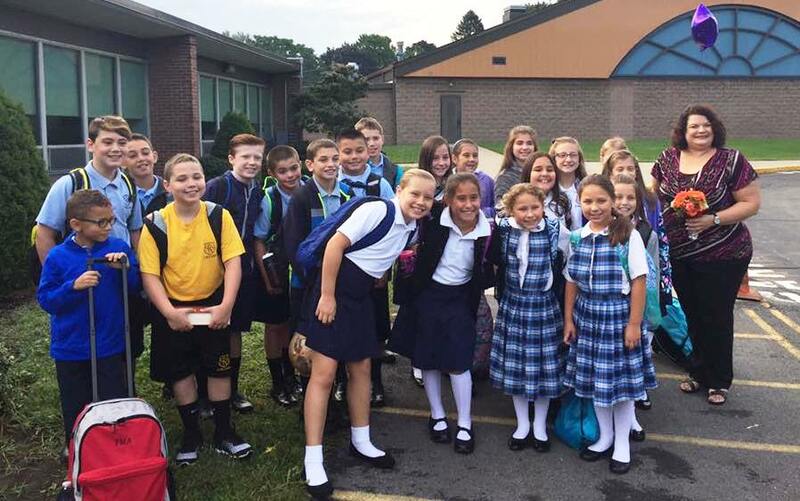 The 4th graders were glad to be back. 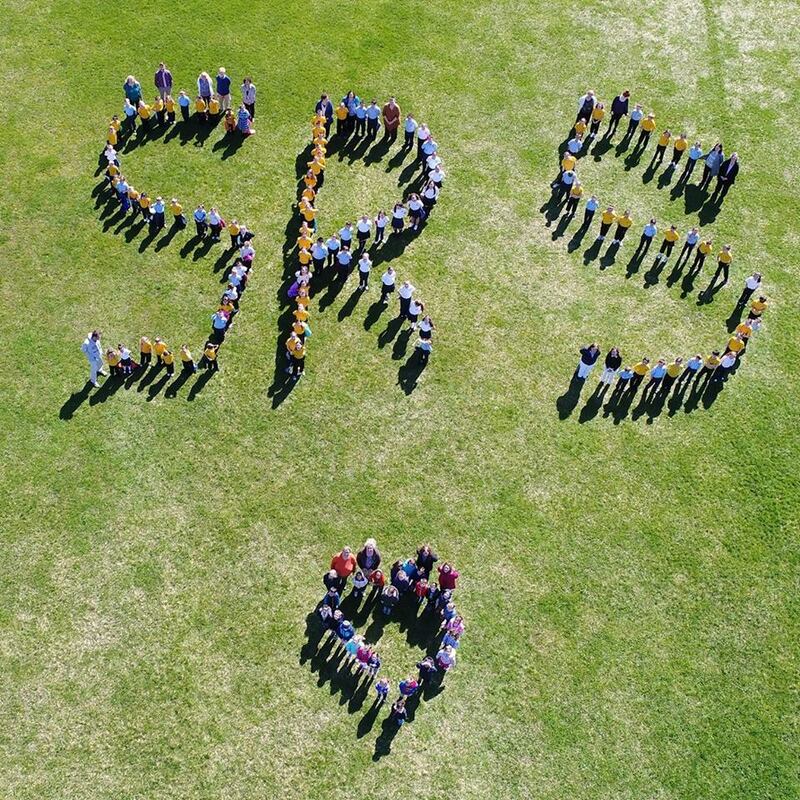 The 5th graders on their last first day at SRS! 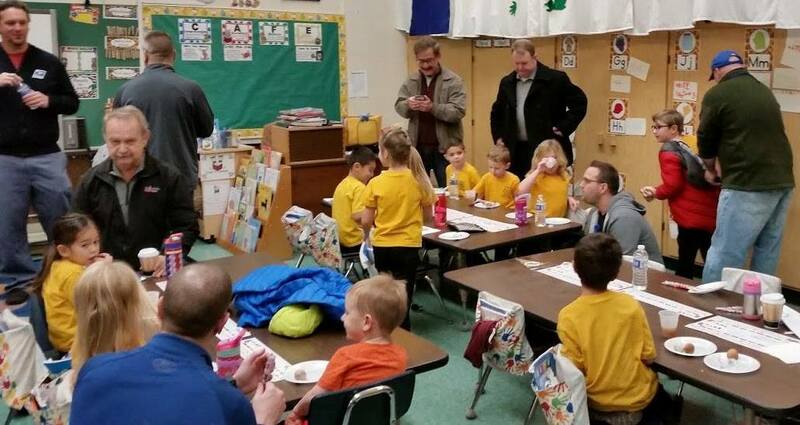 James (2015) & Zach (2015) came with their brother on his 1st day of Kindergarten.